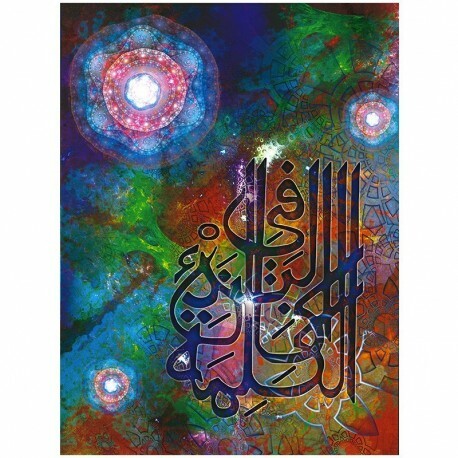 The desire to continue to create, find other ways to showcase calligraphy gave this second version. Here is the thirteenth in the series "Fractals" ... an irresistible urge to continue with the verb, the word, calligraphy, I had not finished speaking.... Now I continue my path, my quest..
13 Fractals, the lucky number, they say? Well no, a little voice inside me whispered me I still had much to express, however I could not find in my library of fractal pictures that inspired me.